We are mourning a warmhearted, wonderful colleague and friend. We owe him so much: As a highly esteemed spine surgeon and scientist he was dedicated, helpful and supportive to our society on so many levels. For many years he was a very active member of our Executive Committee, holding positions like treasurer and eventually becoming our president. 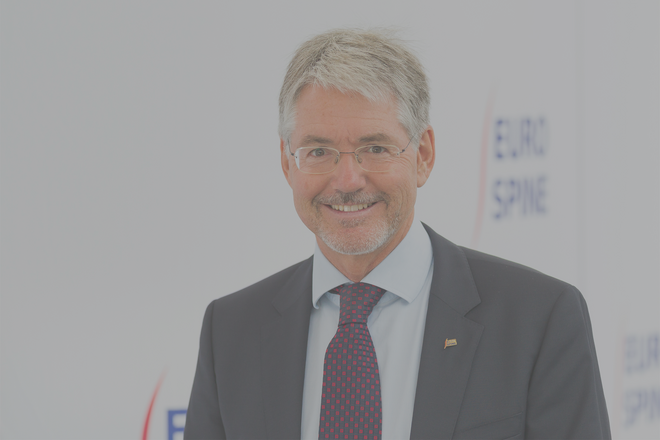 Michael was heading the comprehensive Spine Centre at the Orthopaedic Hospital Vienna-Speising in Wien, Austria, for the past 16 years. He eventually became in charge of both the spine surgery as well as the conservative medicine department. Michael Ogon passed away unexpectedly on 10th September 2018 at the age of 58. Our deepest sympathies are with his wife Eva and his five children.